I have to agree with The Carpenters (old singing duo) about “Rainy Days and Mondays.” They do have a downer slant to them. At least that’s what I felt that drizzly Monday in September, a few years ago. “Say what?” I said. Now that’s a brilliant response from a trained educator. 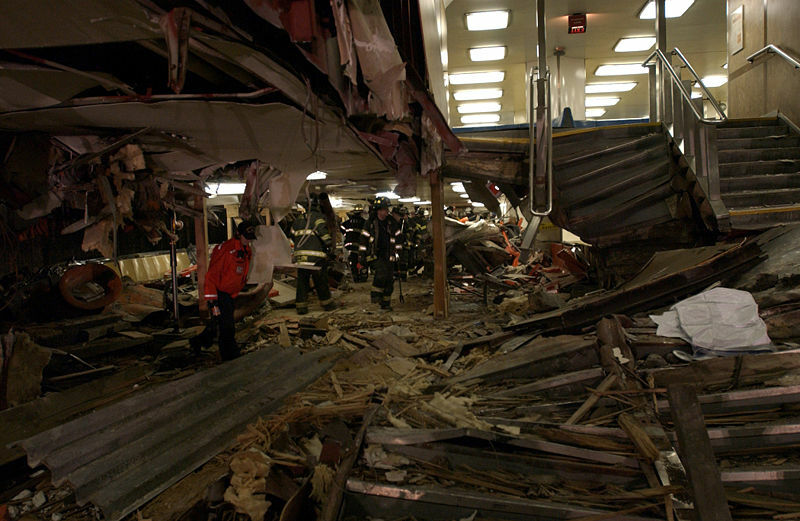 See that was the day after a commuter ferry had crashed into the Staten Island docks, injuring 71 people and killing 11. The media reported that the ships Pilot was so distraught that he tried to take his own life. The six, ten, and eleven o’clock news were all over it, and obviously these young information sponges hadn’t missed a thing. Now, remember these are six and seven-year old children. Their imaginations had been working overtime and obviously overnight! Their minds were buzzing with what they’d overheard, and some of their comments were a wild, to say the least. So while I wish their parents would sweep into the room with milk and cookies, I considered the following … I could make this a NO, NO subject, thus leaving them to speculate about it behind my back throughout the rest of the class. Or, I could air it out just enough to ease their minds and allow them to let it go on their own. After all, my job was to create a “safe place” where students could explore their thoughts and ideas without fear of ridicule or rejection. What was the Staten Island Ferry? We did clarify how many people may have been on the ship, because two of the children had already exaggerated the number. An accurate count (and knowing many people were not hurt) made the accident less disturbing to them. Remembering their original question was about suicide, I reminded them that the captain (ship’s pilot) had not actually taken his life. We focused on how he felt, rather than what he did. The kids felt sorry for him. They came to understand that he was sad because he felt responsible for the accident. That’s what they focused on during the last few minutes of our talk. This all took about fifteen or so minutes out of our 90-minute workshop. The kids had expressed their thoughts, explored aspect of the event other than the “sensational,” and then returned to working on our original class projects. Later, I told the parents about our discussion so they were aware and could follow through if they wanted to. In the end, the experience helped generate a trust between the children and myself. It helped establish that our class had acceptable and unacceptable behavior and subjects, and that I also respected their curiosities and thoughts. By the end of the semester, the junior reporters had published four newsletters containing interviews with students, teachers, parents, and even a caretaker at the Central Park Zoo. Our crowning achievement was a video news report about NY’s Roosevelt Island. Their coverage included how from 1854 to 1870 the island was used as a place to treat small pox victims. The children even told how the Tram was originally an attraction at the 1964 World’s Fair. Who came away learning the most? I don’t know what the children would tell you. But I not only remember that experience, it inspired and helped mold much of my work with young people. It taught me to be flexible with my structure, and to truly listen when students speak, no matter how old or young they may be. Gallery | This entry was posted in Method To My Creative Madness and tagged accidents, Child, Health, interviews, investigate, learning, Monday, New York City, parents, reporters, Roosevelt Island, Staten Island, students, The Police, Youth. Bookmark the permalink.